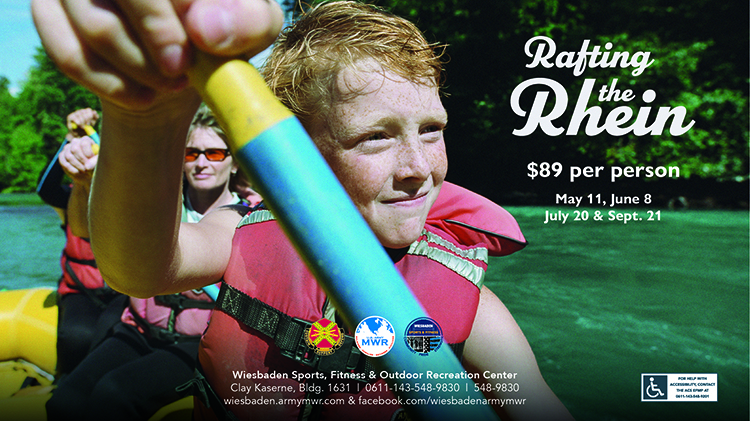 Join Outdoor Recreation for a fun day on the Rhein River. Get a unique view of this UNESCO World Heritage Site while rafting. Cost is $89 including round-trip transportation and entrance fee. Bring extra Euros for meals. Register at the Wiesbaden Sports, Fitness and Outdoor Recreation Center.